The singer who will soon be referred to as 'the proud father of two', is surely not planning to stay away while his second baby mama struggles alone to deliver their first child together. He is giving her all the support necessary. Asides publicly acknowledging that he was responsible for Amanda’s pregnancy, he has also not stopped gushing about the unborn child since he made it known. Recently, Davido announced that all that really matters to him was good music, his daughter and his unborn daughter due in two weeks. Meanwhile, Amanda resides in Atlanta and her baby is due anytime soon. 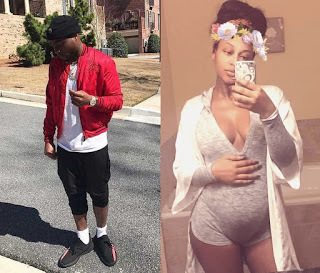 As of today, Davido’s location has switched to Atlanta, as he moved over to the United States over the weekend with plans to be by his baby mama’s side when she pushes their child to the world.